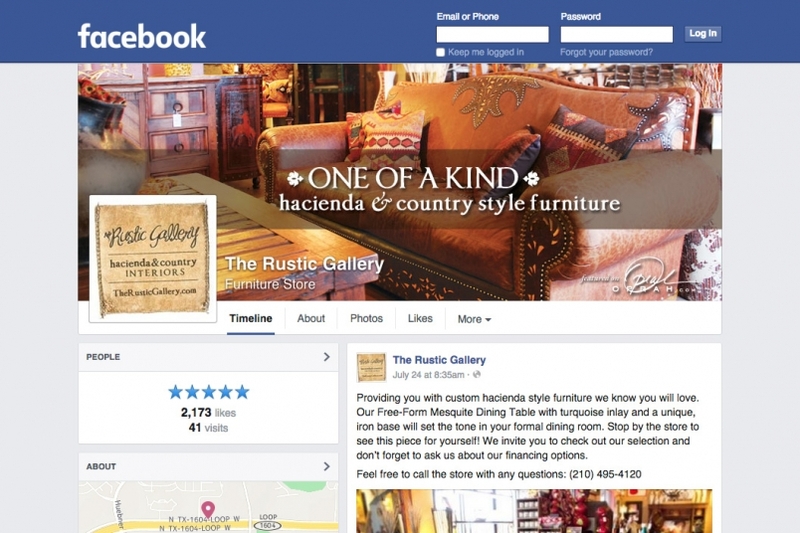 Longstanding client and local favorite, The Rustic Gallery Hacienda and Country Interiors, needed an online presence to strengthen relationships with their loyal clients and to increase their exposure to potential new customers within south and central Texas. Our team uses video ads, image ads, and boosted posts on Facebook to spread the news about upcoming sales and promotions. We are also able to inform our target audience about the environmentally safe practices adopted by The Rustic Gallery. Using social media to shape perceptions is a cost-effective means of getting the word out when compared to traditional media (such as TV commercials). Pinterest is used to engage a community of people that are not quite as active on Facebook. Houzz is a social platform used to help individuals design their own home with images provided by various retailers. 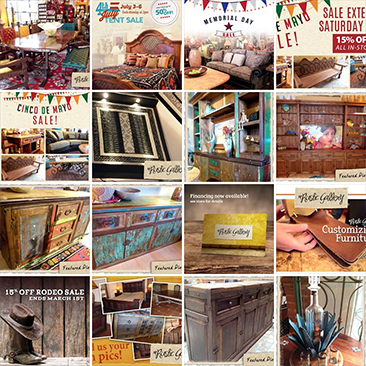 The Rustic Gallery’s presence on this website allows Houzz users around the world to consider The Rustic Gallery when making a purchase decision. Users on Houzz are quality leads, considering they’re in the market for adding new furnishings to their homes. This platform allows for pricing negotiation and sales activity outside the store, allowing for an increase in revenue streams.